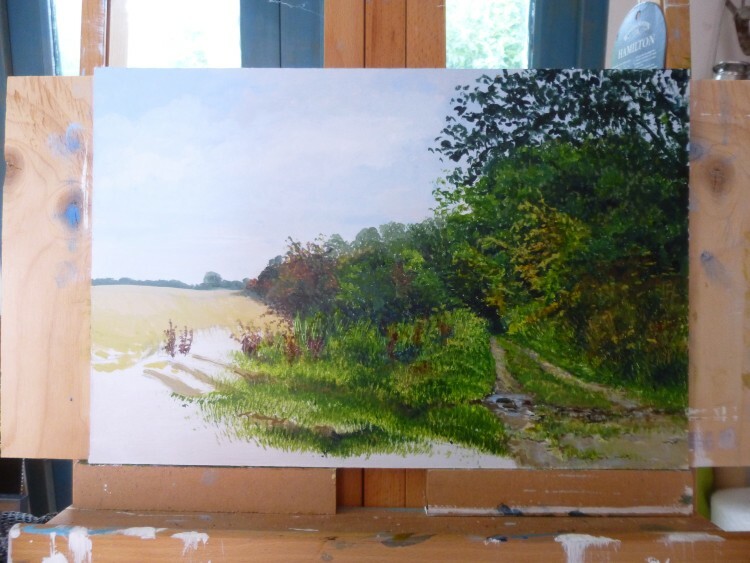 Working away in my studio this week on the first of the Peddars Way paintings – this one will show the green lane near North Pickenham in Norfolk. 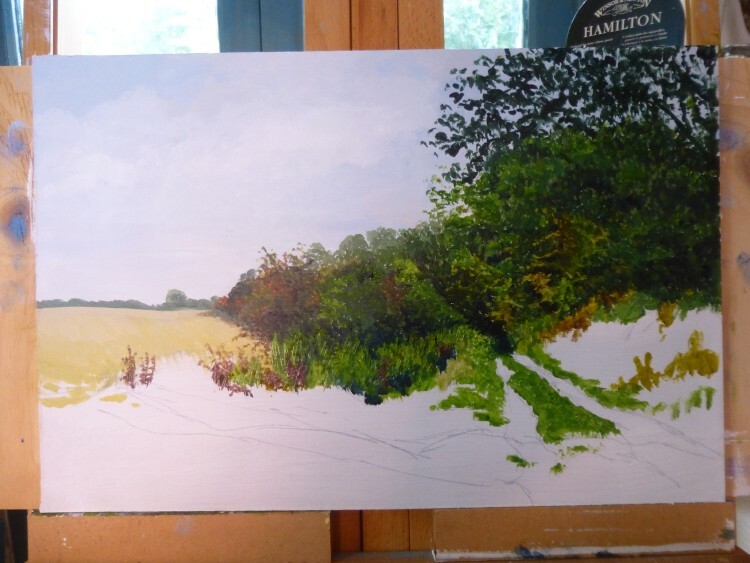 This was as far as I had got by the end of Tuesday afternoon, and this . . .